Are you looking for a tool that can inflate all sorts of tires that you have at home? 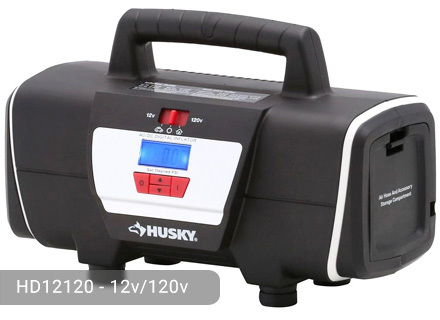 The search is over because Husky 12-Volt/120-Volt Home and Auto Inflator, which is very much available in local home stores, is the one that you are looking for. 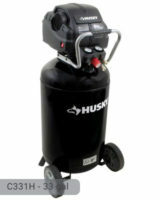 Whether it is your vehicle tires, bicycle tires, air mattresses, or sports equipment that need inflation, Husky 12v/120v inflator guarantees high-quality air delivery. To operate, you will simply need a power source which is readily available in your house and car. A 12-volt power source is required for your vehicle while a 120-volt power source is required at home. 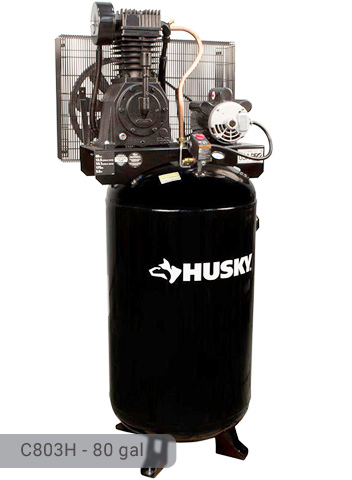 The maximum pressure of the compressor is at 120 psi. It works on a lot of car tire models including that of Nissan SUV and Honda Pilot. All 4 tires can be inflated with this auto inflator. However, for higher level car tires, the inflation may take a while to finish. 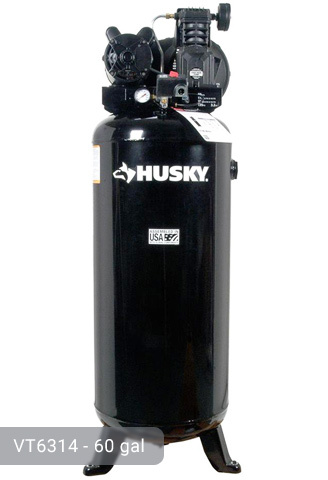 You can definitely use this compressor to inflate large pool floats but not to deflate them. The inflator ensures the right amount of air delivery because the digital pressure gauge will automatically shut-off when the desired level is reached. Being able to set the pressure on your own and just wait until the automatic shut-off feature work makes it easier to do things because you do not have to monitor by yourself. You also have a good view on the pressure reading because of the large LCD display on the digital gauge of the inflator. Its compact design significantly contributes to its portability. It is very lightweight that even children can carry it with ease. It has a handle that offers a good grip of the machine. The length of the hose is 22 inches which provides a good distance when needed. The materials are very durable and will ensure long-lasting use. Its black design makes it the perfect addition to your collection of home equipment. The inflator comes with accessories which include 1 mattress nozzle, 2 sports needles, and 1 Presta valve adapter. At an affordable price of $49.98 in your favorite store, you can get all these in a single package. Investing on this product can help you save money from going to the gas station and paying them to inflate your tires. Also, it will come in handy during emergency flat-tires on the road. It is not every day that you come across an inflator that can work both for your home and auto purposes. 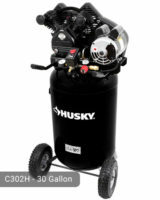 Visit your local home store now and grab Husky 12-volt/120-volt home and auto inflator. 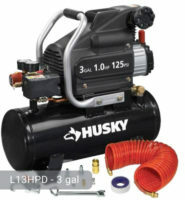 If you already own Husky HD12120 model or just want to buy it, feel free to share your review or ask a question through the form below.